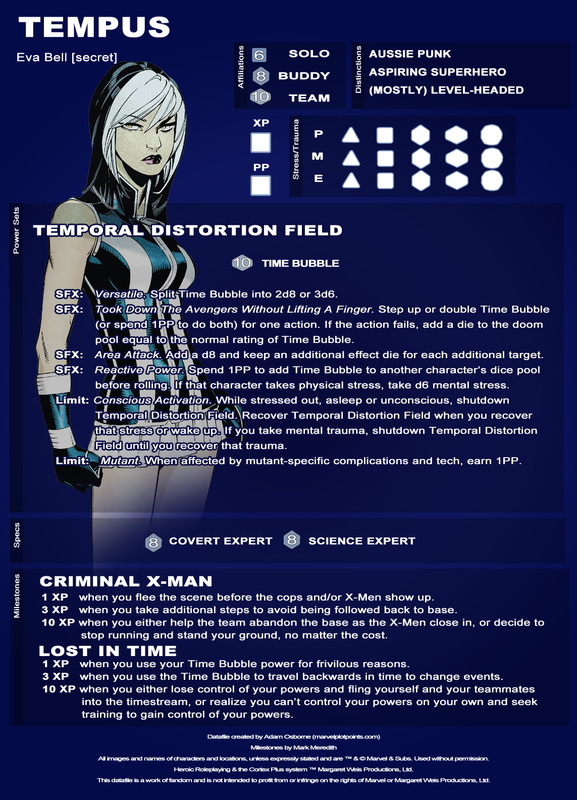 A few days back, one of our devoted readers, Bl00dwerK, asked us to design a datafile for his favorite mutant, Tempus. Before we could even respond, another one of our readers, Adam Osborne, responded with a datafile in the comments! 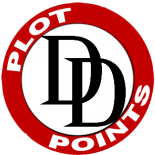 He happily agreed to allow us to put the datafile into the Plot Points format, and I wrote some milestones for it. You’ll note we’re still using both formats of Datafile. Looking at the poll, it was very, very close, with the new style winning out. However, to appease all our fans, we’ll still be sharing both files, just with the new style up top. Enjoy them both. AAAAHHHHHH! I’m printing this off RIGHT NOW! That new style is super-sweet! 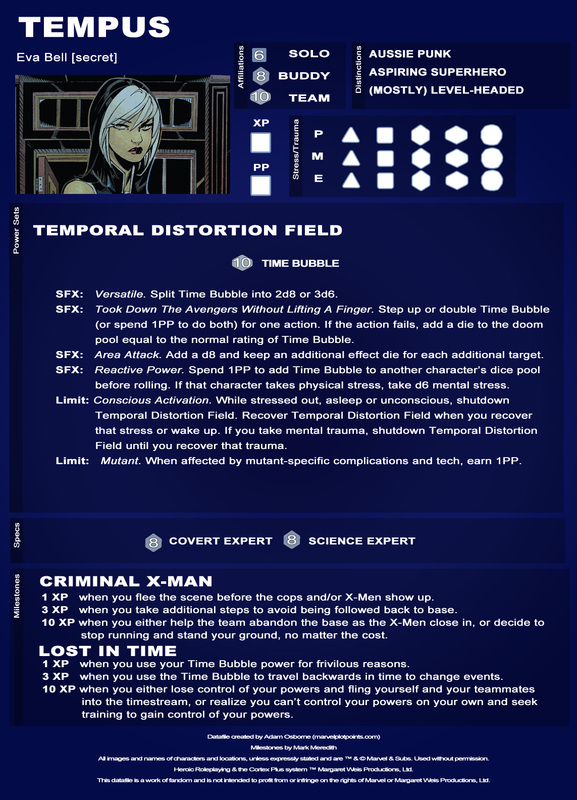 Will you guys ever compile all the datafiles into a handy-dandy PDF file just like a sourcebook? That would be awesome. This entry was posted on September 27, 2016 by Mark in Datafiles.